Premium leather wallet built to last! 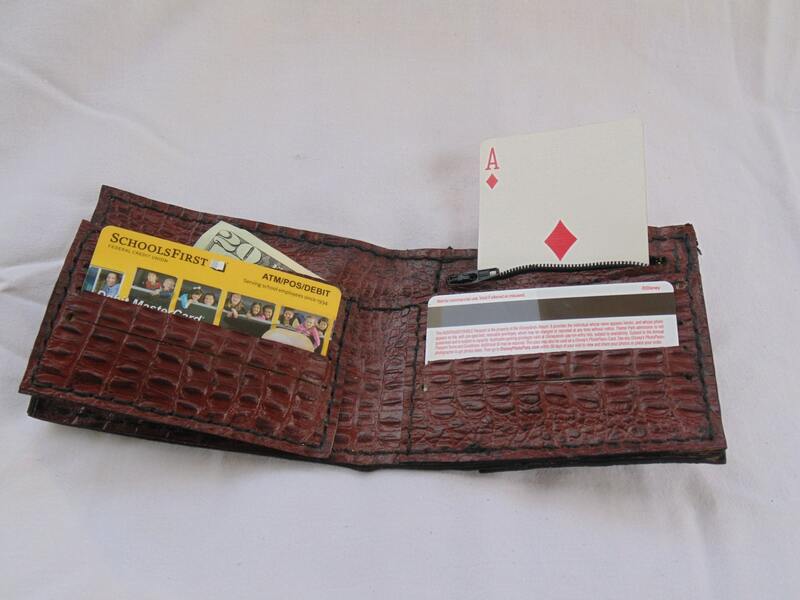 This is the Ultimate Magician's Wallet! It doubles as a card to wallet and a fire wallet. Card to wallet is based off of the Mesika type card to wallet. Fire wallet uses any standard disposable lighter to ignite. Sturdy enough to use as your everyday wallet (large bill pocket and 6 credit card slits carries everything you need) and made to last 1000's of shows. 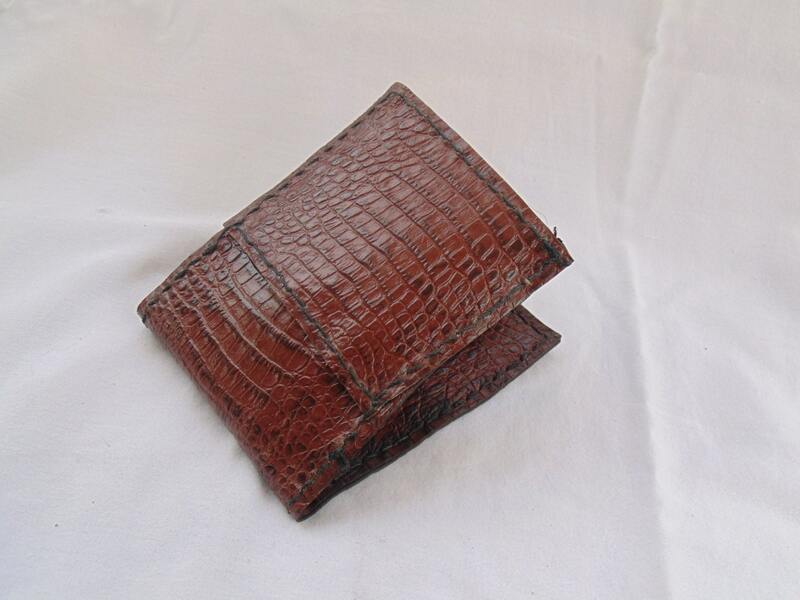 Genuine veg tan cowhide can be customized with your choice of image or pattern or choose from other leather options like simulated alligator (shown in photo; black or brown only on color) or stoned oil leather (no tooling available; choose from black, brown or tan). Choose either stitched edge or laced edge (lace is calf skin). Specify your color of stitching in notes- choose stitching from black, white, brown, red or blue or lace from black or brown for stitching or black or brown for lacing.